Shari McNally grew up in the Mojave Desert where she languished until she made her noble escape at age 19 to Los Angeles. She is married to the most stunning woman in the world and has two demigod children that walk on clouds. 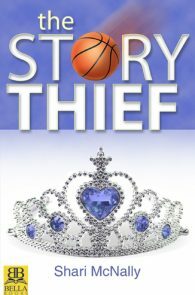 The Story Thief, Finalist, Lesbian Debut Author.